You are at:Home»Posts Tagged "Stephen van Coller"
EOH Holdings’ shares continued their strong rally into Tuesday as CEO Stephen van Coller told investors that a new base had been established for the technology services group’s future growth. EOH shares soared nearly 25% on Monday, ahead of interim results on Tuesday, as investors began taking the view that the worst may be over for the battered JSE-listed technology services group. Technology services group EOH Holdings will report a huge loss for the six months ended 31 January 2019 on the back of significant impairments as the new management team moves to clean up the business. 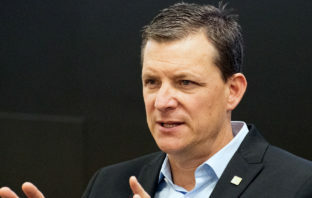 MTN Group CEO Rob Shuter was paid R42.9-million in the financial year ended 31 December 2018, up from R40.6-million in 2017, while other top executives were also handsomely rewarded. EOH Holdings has suspended some employees involved in deals being reviewed by its lawyers after an anonymous complaint prompted Microsoft to cancel partnership agreements with the JSE-listed IT company. EOH CEO Stephen Van Coller sent a letter to employees, clients and shareholders on Friday, reflecting on what has been a week from hell for the JSE-listed IT services group. Read it here. EOH Holdings CEO Stephen van Coller is in a race against the clock to restructure the sprawling South African IT business before shareholders and lenders run out of patience. Corruption will be “dealt with” and anyone at EOH involved in unethical business practices will not get away with it, the IT services group’s CEO, Stephen van Coller, warned on Wednesday. 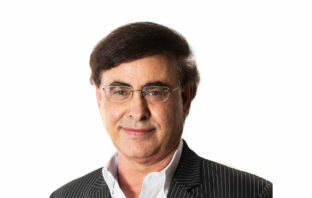 Amid a the worst crisis in its 21-year history, outgoing EOH chairman Asher Bohbot on Wednesday gave an impassioned speech in defence of the troubled company he founded more than two decades ago. EOH Holdings said two of its founders resigned in a board shake-up as CEO Stephen van Coller races against time to restructure the South African technology firm and calm investors and lenders.